I love my desk! It not only serves as the place where I can keep up with everything I mentioned above, but it also serves as a work space for blogging and getting my Etsy orders together. 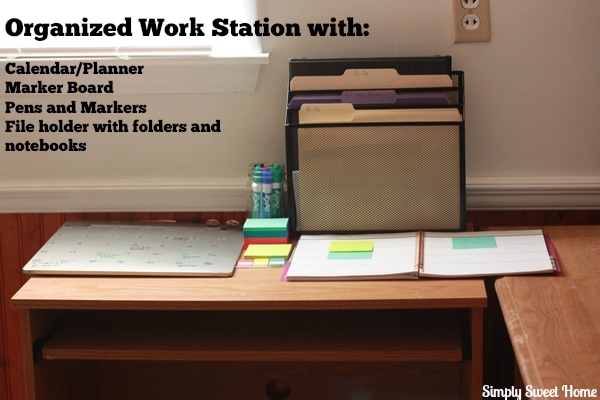 As such, my work space needs to be neat and tidy, and I need a lot of tools to stay organized, so I can make sure everything gets done and our household runs smoothly! 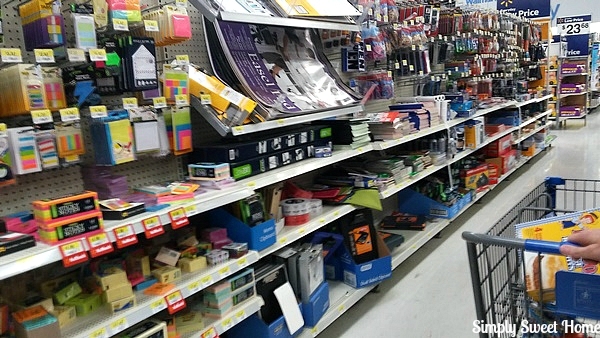 You can find everything you need to create an organized desk space or work station at Walmart. 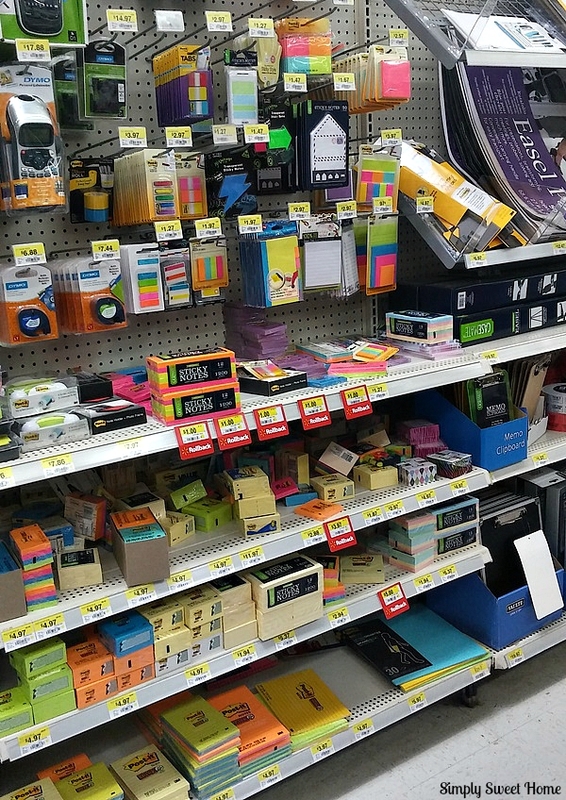 You can find all the Post-it® products you need in the office and school supplies section, alongside other great organization products. When I say maintain, I’m referring to how you write things down and where you keep things. For example, as soon as I get a new blog project or I learn that Noah has a new event he needs to attend, I immediately write those things down in my planner. 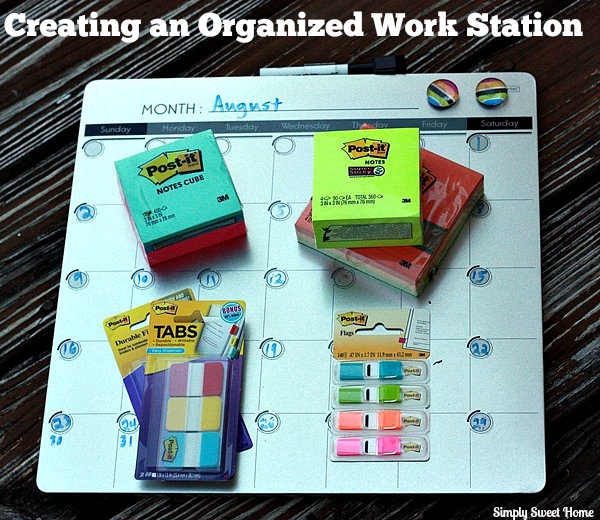 These basic procedures help to keep me organized, but they only work as long as I perform the tasks regularly and stick with the systems. 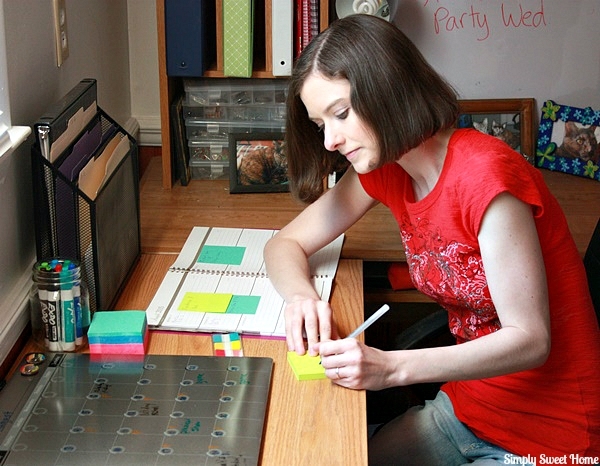 I’m known to keep a Post-it® Note or two on my desk for reminders and even for brainstorming in my writing! 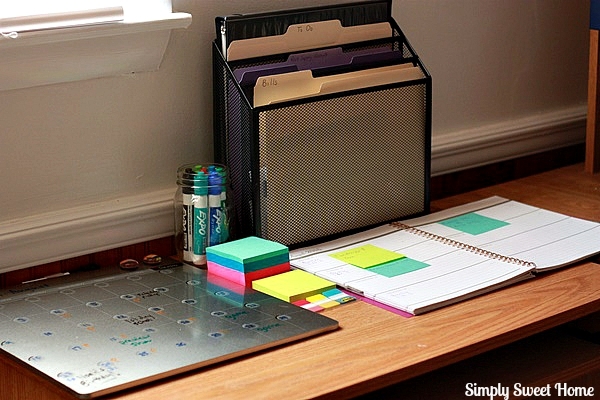 But they also make a great organizing tool. 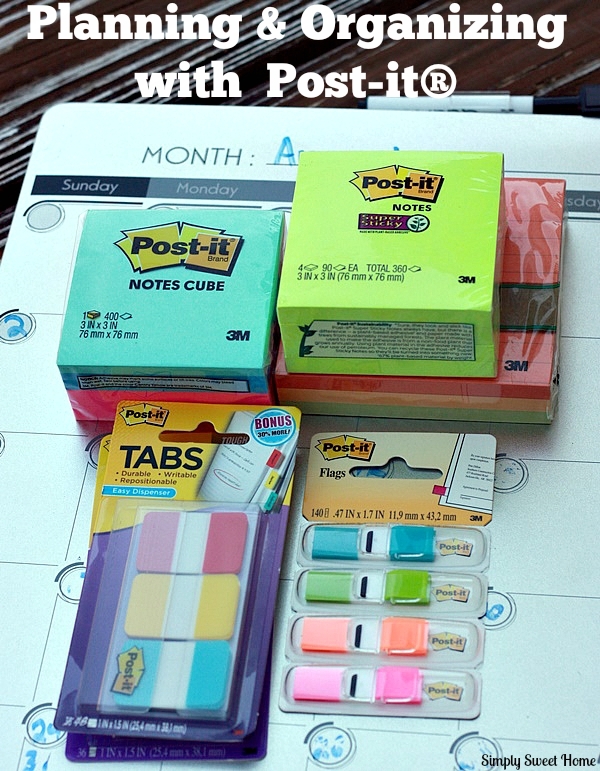 Because Post-it® Notes come in a variety of sizes and colors, they are great for organizing your organizer. 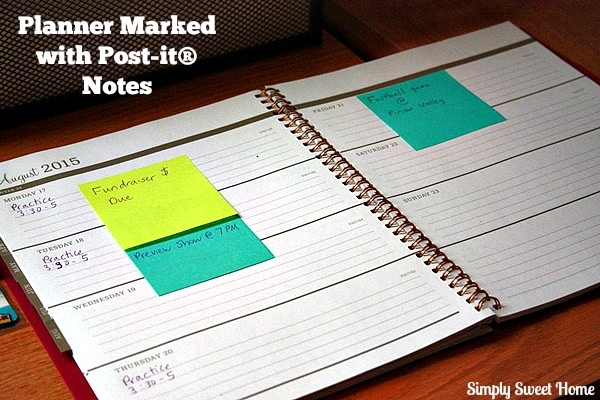 In the picture above, I’ve placed Post-it® Notes beside relevant dates and written down the important event information. The Notes are convenient because they can be easily removed if the event changes. No more scribbling! 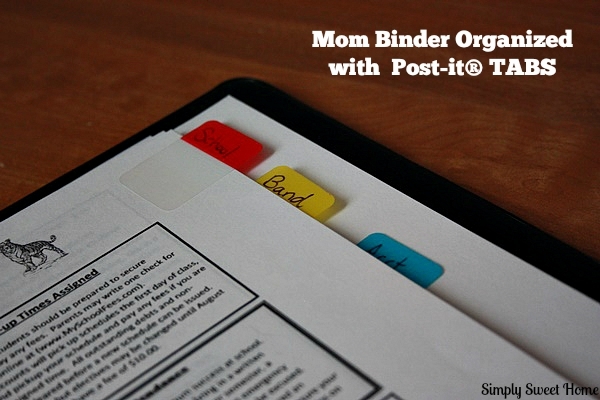 You can also purchase smaller sized Notes, so that you can place multiple Notes on pages similar to the ones shown above, or a single Note directly on the calendar squares in your planner or on a dry erase calendar. -School – This section is where I keep print outs of the school calendar, important dates, and other important school notes. -Band – Here I keep copies of the band newsletters and field trip information. -Accounting – This is where I keep information, regarding payments for school, band fees, and trip payments, and other important financial records for school. 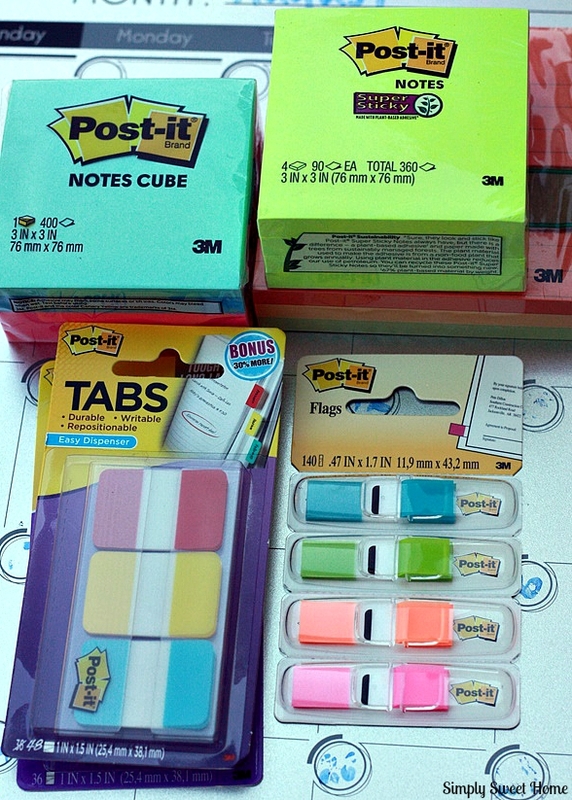 I’d be like a kid in a candy store with all those post-its! I keep a calendar and lots of colored pens so I can keep track of everyone! I love that red top you are wearing!